Community members and trail lovers united on Thursday, June 28 as the Capitol Land Trust (CLT) presented the grand opening of the trail system at Darlin Creek Preserve near the Capitol State Forest. The acquisition of the 312-acre area has been 15 years in the making, with it taking nearly a decade to raise the $2 million necessary to purchase the property. Original landowners, Aloha Lumber Corporation had an opportunity to sell the property as a 45-home sub-development, but gave CLT the opportunity to protect it first. Rather than develop the area, the lumber company chose to support the many conservation groups that have worked to save the gorgeous landscape. Kaleen Cottingham, director at the Washington State Recreation and Conservation Office, has been involved with the project for the last couple of years when CLT approached her during their fundraising efforts. Her office helped provide funding and several different grants in order to help secure the property, along with salmon and coastal restoration and recovery efforts. “It’s a great community asset for neighbors here but it’s also a wonderful natural resource because of its ability to help preserve and restore salmon life,” she said. 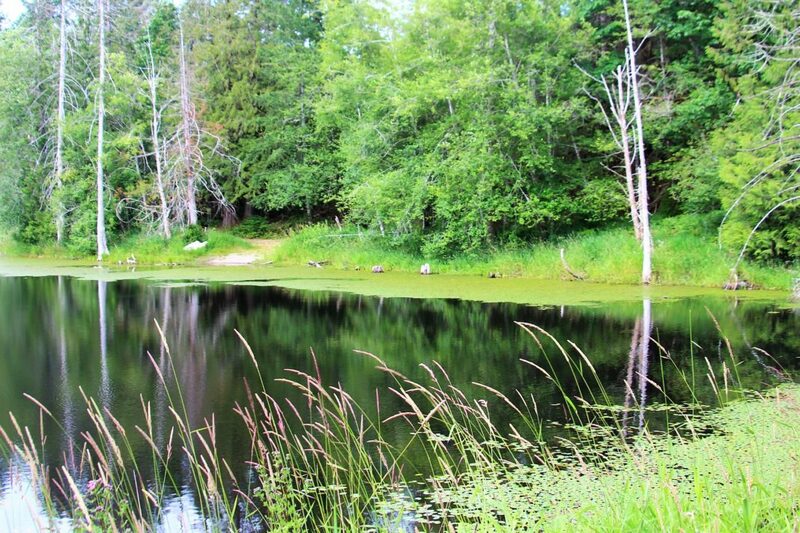 With over 100-acres of wetland, the property is home to beaver ponds, multiple bird species, as well as creeks that are key migration avenues for several varieties of salmon. Darlin Creek Preserve is now open to the public for hiking and wildlife viewing, daily from dawn to dusk and is located at 8910 Lake Lucinda Drive SW, Olympia. To learn more about visiting Darlin Creek Preserve, please visit the Capitol Land Trust website.